Since 1997, Pork Filled Players have regaled the Pacific Northwest with their sharp sense of humor and acute geek sensibility-- they are, after all, led by a trademarked Star Trek character! 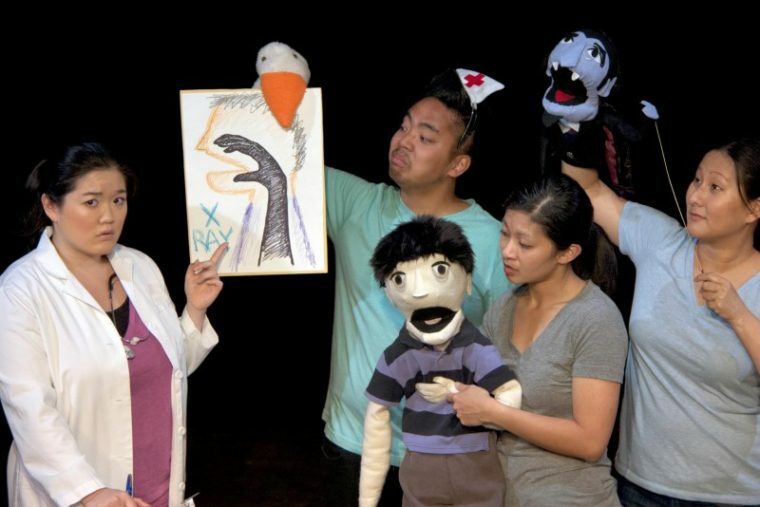 They began as artists in residence at Seattle's Northwest Asian American Theatre, presenting numerous late night shows after NWAAT shows and making regular appearances at the Seattle Fringe Festival. As well, they were founding participants of Seattle SketchFest, the nation's first juried sketch comedy festival. In 2002, the Players started producing independent main stage sketch comedy shows, writing, and producing their own original material. Pork Filled Productions is the theatre offshoot of the long-running sketch comedy group, The Pork Filled Players. In 2007, we began presenting full-length stage plays, specializing in Northwest premieres of Asian American comedies, starting with Prince Gomolvilas's Big Hunk o' Burnin' Love (2007), Qui Nguyen's Living Dead in Denmark (2008), and David Henry Hwang's Yellow Face (2011) co-produced with ReAct Theatre. By providing a nurturing space where Asian American theatre artists are encouraged to thrive creatively without the burden of expectation of discussing only race, we aim to give our audiences a broader view of what is possible from Asian American playwrights and Asian American theatre. Box office opens 60 minutes before showtime.